I love cheesecake and I love these cute tart pans which I bought myself for Christmas (#selflove). Don’t get me wrong, my old muffin-/cupcake mold is great as well but these tart pans are so much nicer. 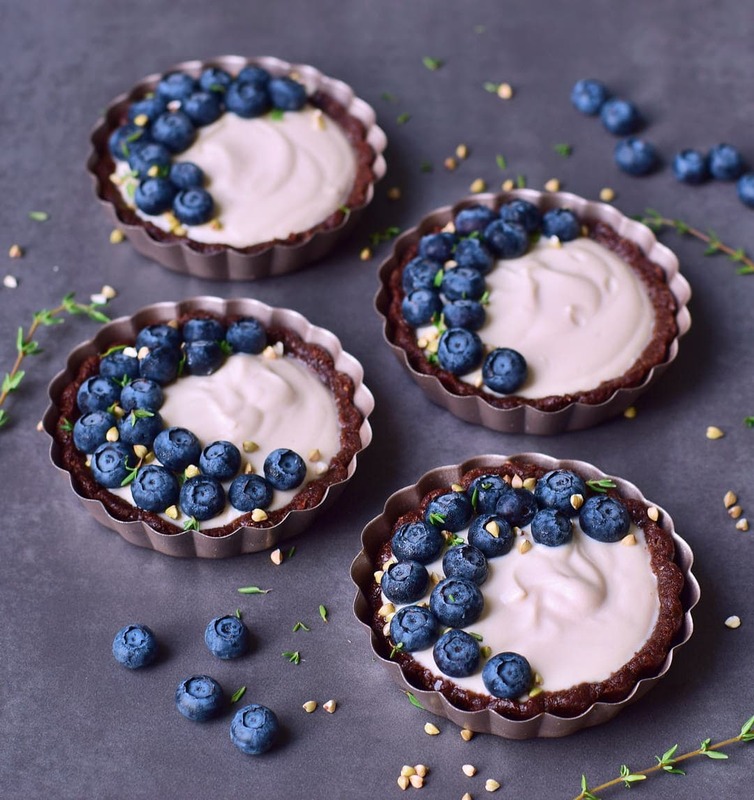 So let’s start the new year with these vegan cheesecake tarts because who doesn’t love an easy to make dessert?! This recipe is gluten-free, refined sugar-free, delicious and there is no baking required! 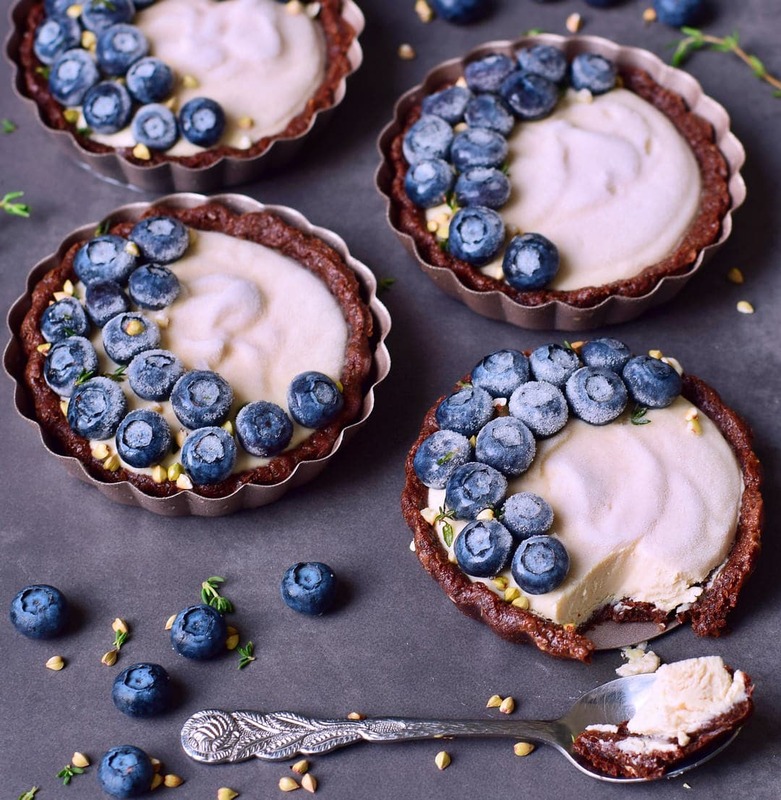 The crust of these vegan cheesecake tarts contains dates, sunflower seed butter, flax seeds, a little bit raw agave syrup, and vanilla extract. You can, of course, use nuts instead of flax seeds, however, I love that flax seeds contain lots of healthy omega-3 fatty acids. 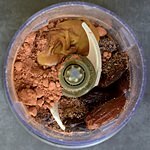 That’s why I often include flax meal in my recipes, for example in these vegan no-bake brownies. 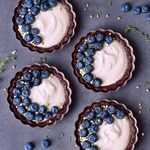 The cheesecake cream contains mainly silken tofu which I currently love using in my dessert. You can also check out my vegan tiramisu recipe with silken tofu here. If you have a soy allergy, then you can make this recipe with soaked cashews instead of silken tofu. 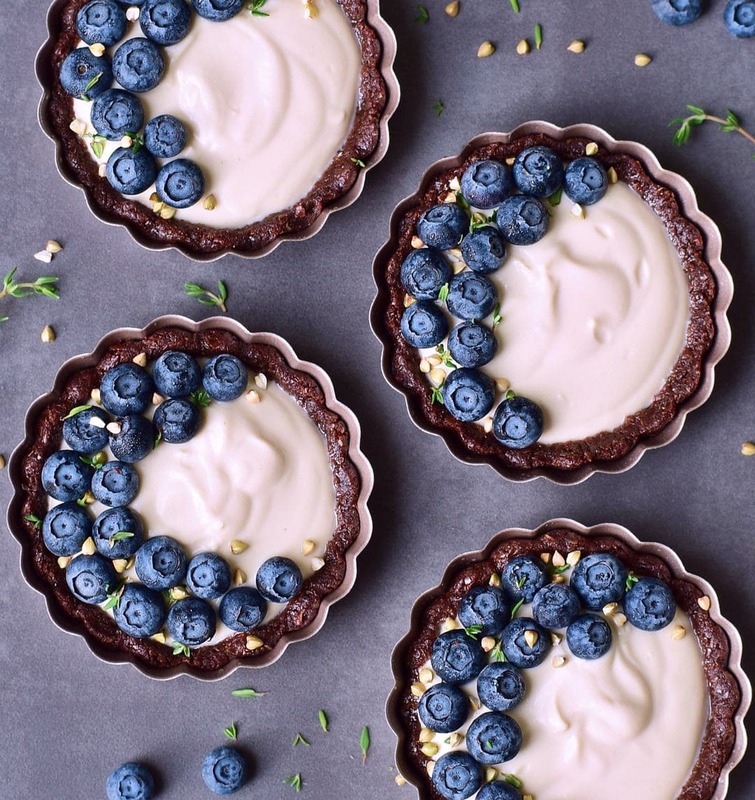 However, please keep in mind that the vegan cheesecake tarts will be higher in fat. 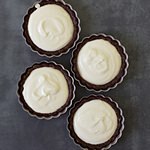 Please leave a comment below if you make these vegan cheesecake tarts. You can also make a photo of it and post it on Instagram (or send me a DM). If you tag me in the caption + photo with @elavegan and use the hashtag #elavegan I will gladly check out your post and leave a comment. Another great recipe featuring silken tofu! These look delicious and I love that they’re individual little cakes! Woohoo for gifts from you to you! That also turn into a gift from you to us in the form of all sorts of cute treats that I am sure will be happening in those little pans this year???? Loving this nut-free crust for a change and because I don’t use flax seeds nearly enough. But even moreso I am loving that you dove into 2018 dessert first???? 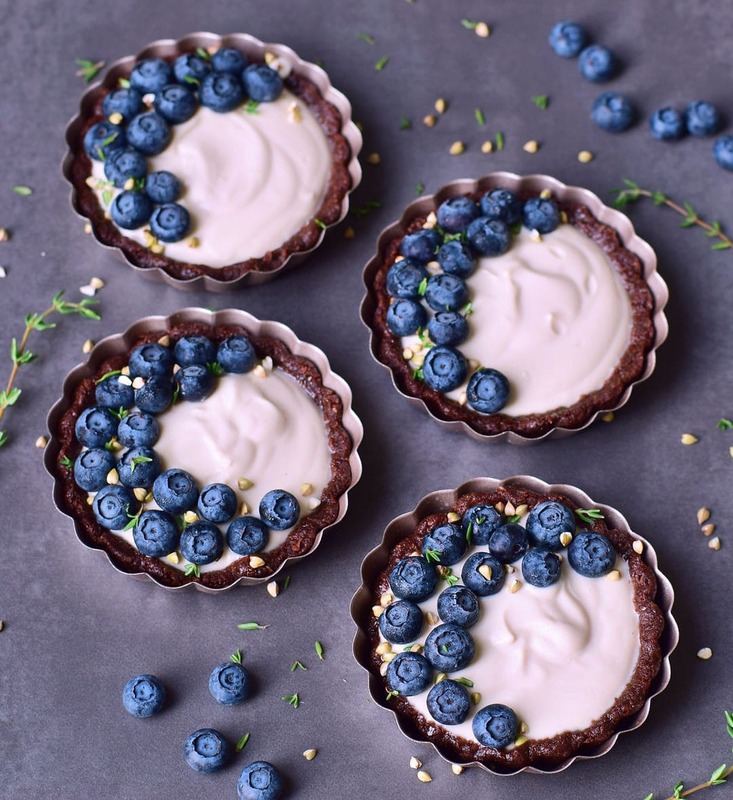 These cheesecake tarts look so beautiful and delicious ela! 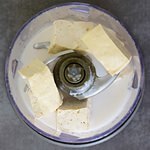 I absolutely adore cashew cream! 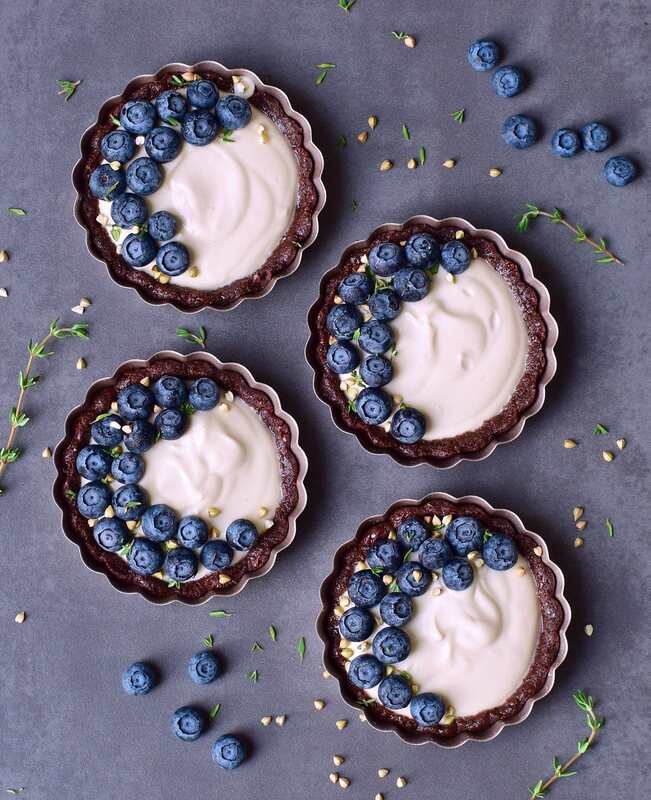 Oh how I love these adorable tarts! The color combo is just too cute. 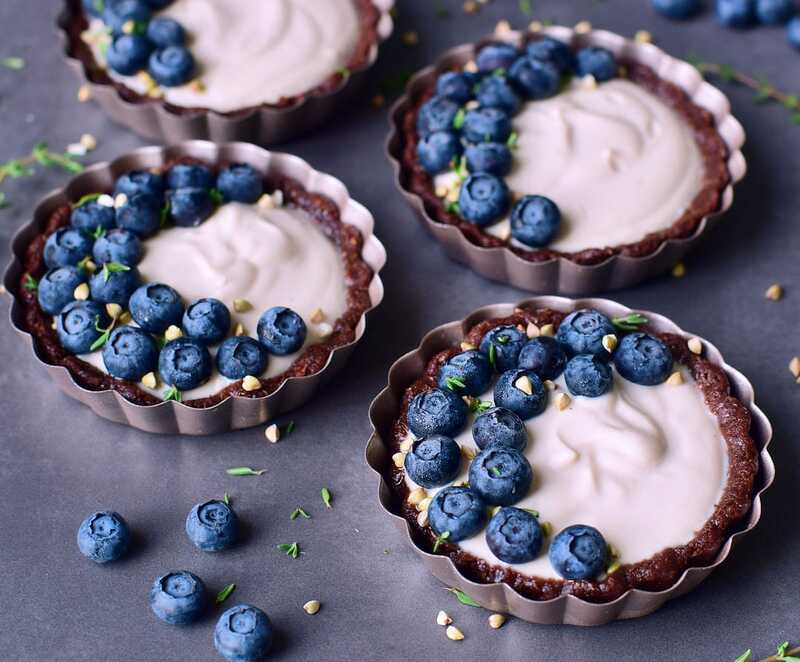 I love the healthy ingredients too – I love tofu for tarts. I usually use it for savory food but so brilliant in sweet desserts too! These are so pretty Ela! I also think they have a soft, soft pale pink color, regardless they look super pretty and so creamy and decadent! Love your crust. 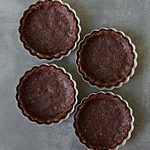 I also make a sunflower butter chocolate crust for a chocolate tart and happen to love it just as much as with regular nuts! Love the recipe Ela! 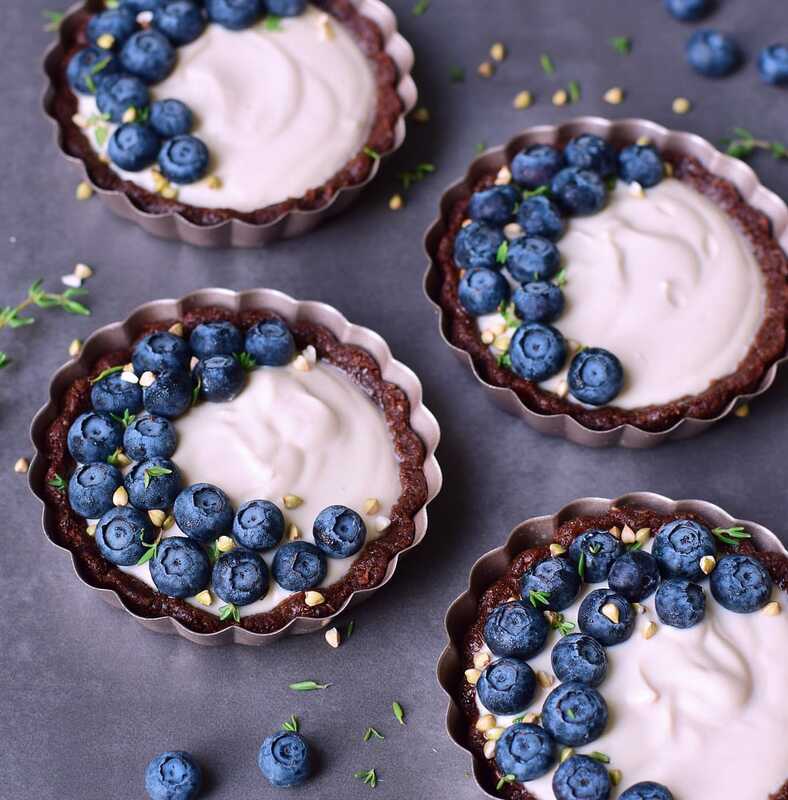 WOW these tarts are simply amazing! Would never have guessed it’s vegan! Looks and sounds amazing.